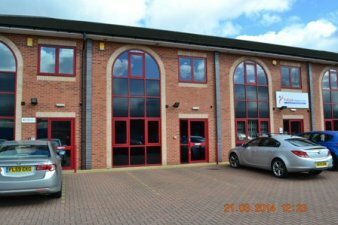 Full Description: Two storey office accommodation built to high specification to provide: Fully air conditioned with a combined heat/cooling system. Suspended ceiling with CAT III recessed lighting. Antistatic carpet tiles. Perimeter Trunking with installed telephone, computer and data cabling. Toilets and kitchen facilities. Milner Commerical for themselves and for vendors or lessors of this property whose agents they are give notice that: i) the particulars are set out as a general outline only for the guidance of intended purchasers and lessees, and do not constitute , nor constitute part of, an offer or contract; ii) all descriptions, dimensions, reference to condition and necessary permissions for use and occupation, and other details are given without responsibility and any intending purchaser or tenants should not rely on them as statements of fact but must satisfy themselves by inspection or otherwise as to the correctness of each of them; iii) no person in the employment of Milner Commercial has any authority to make or give any representation or warranty whatsoever in relation to this property.